Classic Eggs Benedict Lazy weekend breakfasts that segue into brunch are a highlight of our week. 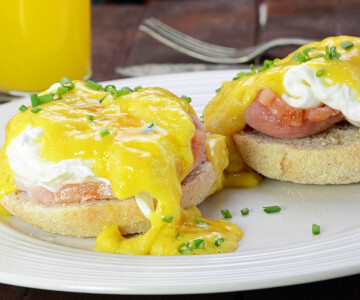 Eggs Benedict has it all as a Saturday or Sunday treat – best served with perfectly runny eggs. Cheshire Cookery School has crafted this luxurious take on a classic dish especially for Creamline. We hope you enjoy as much as we have!